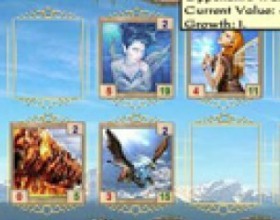 Another version of this card based online fantasy game! Your task is to summon various creatures and their powers to cast spells. You can play this game against other players online if you want. Read instructions to learn most powerful combinations. Your task is to use your magical cards and fight against other wizard to defeat him. Summon creatures and cast spells. 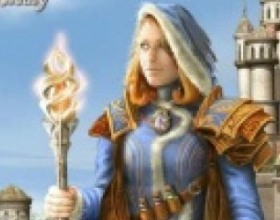 You have five elements to combine - Fire, Water, Air, Earth and one related to the specific mage type. Use Mouse to control the game. You have to fight against other wizards. You can cast spells by summing available creatures. You can use five basic elements: Fire, Water, Air, Earth and one that is related to your hero. Use Mouse to play this game. I suggest you to read rules of the game to understand how to play. I hope you remember previous two parts of Alice is Dead - looks like this is the last one. Now you're really close to find out what happened. Search deeper and walk around Wonderland to find all answers. Use Mouse to control the game. Story continues. Use your skills to escape from a locked jail cell before it's too late. Figure out something from answers of your cellmate. Use mouse to play the game. Click on objects to pick them, click on icon to select it, also you can combine objects. You're in the Wonderland. 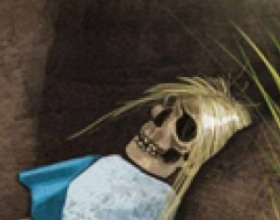 Bad news - Alice is dead. And in addition you don’t know who you are. Get out from the Wonderland and figure out who are you. Click on objects and surroundings to interact with them. Combine items in your inventory to create new items. Fight against other wizards. Use and cast creatures and magical spells. Cards are separated in 4 elements: Fire, Water, Air and Earth. Use mouse to control the game. Check in-game Tutorial about How To Play this game! 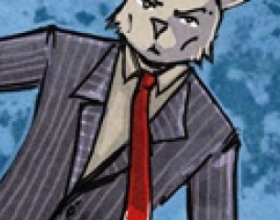 Your goal is to collect cards to destroy your enemies. Select your force and fight your opponent in epic battles. Use the power of your monsters to take down enemies and collect new monsters. Use mouse to control the game. In a games room on our site () for the best quests of a fantasy genre based on Gothic games a special category is created. The history of the first game of the Gothic series has already crossed a decade and for quite a long time these games have occupied the positions of the most popular CRPG. Games of this series differed by a very advanced role-playing system and a high quality of scripts, allowing to create all sorts of modifications flexibly that has been altering the game significantly. 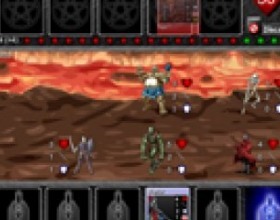 Of particular interest were the mission of the game, the uniqueness of the created world with animation effects and interesting gaming elements, characteristics and skills. Fans of the fantastic games of this genre have the opportunity to successfully spend their leisure time playing games of the Gothic category, where only the best games are collected. 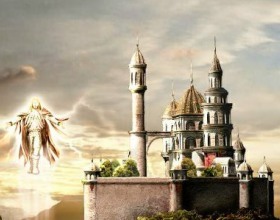 Taking into account the wide popularity of Gothic games and the series of their historical predecessor, flash games are often created in several parts. For example, in “Spectromancer: Truth and Beauty” the main character's task is to fight against other wizards. Only the power of magic can help the wizard in the fight for supremacy. The character has several elements that need to be mixed during the performance of rituals. The game has a quite funny continuation - “Spectromancer 2” which you can also find on our gaming site in the Gothic category. 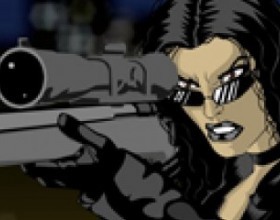 A vivid example of this genre is a trilogy that begins with a game “Alice is Dead - Episode 1”. Alice came to Wonderland but it is not nearly as beautiful as it was imagined earlier. As it turned out, violence reigns there. It turns out that Alice is dead and a request to kill the Rabbit is written on a piece of paper which lies next to her. It is necessary to get away from this terrible place. To do this you need to use your mind and objects collected during the escape. By combining existing subjects you can get new ones. 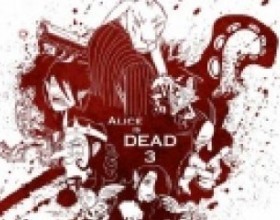 All these horrors and puzzles with subjects are continuing in the second part of the game “ Alice Is Dead. Episode 2”. For those who have successfully accomplished the missions of these two series it would seem that the history of Alice is clear, but it is not so and it is not a kid’s game at all. “Alice is Dead. Episode 3” is even more difficult than its predecessors. Now the solution is much closer, but the character has completely lost his memory. Now wandering around the Wonderland it is necessary to find the answers to a lot of the issues raised unexpectedly. Visit our website and you will surely find a game according to own your preferences. 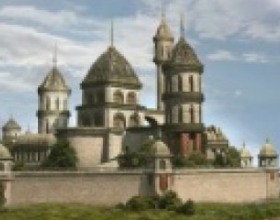 Gothic category impresses all the lovers of flash games and fantasy fans.